Who should buy this sling? Cost is always a factor when it comes to baby gear, but sacrificing quality and comfort isn’t always the best idea. The Seven Baby Sling is one wrap that’s gotten a lot of attention – but the attention isn’t necessarily positive. 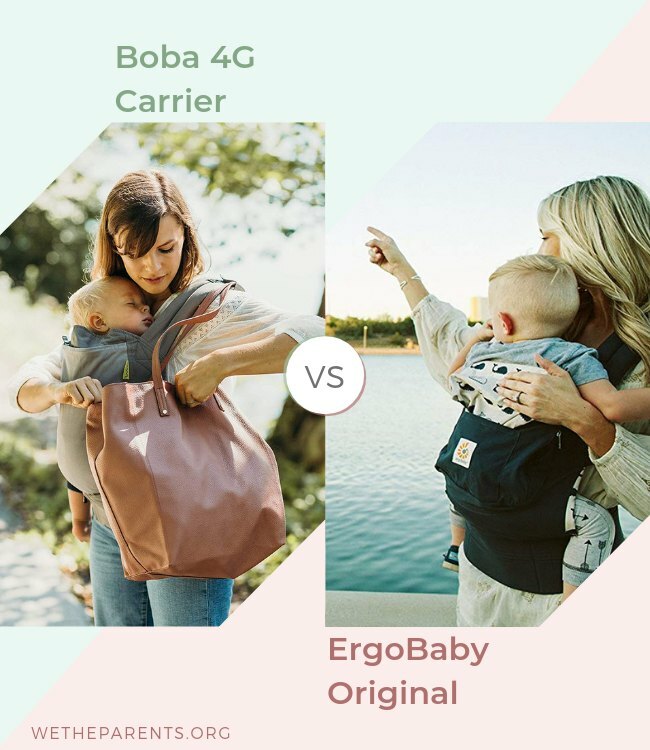 The wrap is really inexpensive compared to other similar carrier styles, but has some issues that have a lot of moms thinking twice. I took a closer look to see what the real deal is with the Seven Baby Sling. The Seven Baby Sling (check parent reviews on Amazon) is one of many sling style wrap carriers that are popular right now. It allows cradle, front and hip carries and can accommodate babies from 8-35 lbs. Styled like a long fabric tube, the Seven sling folds inside itself and is worn like a sash. The pouch that the fold creates allows the wearer to carry baby in the three previously mentioned positions, with instructions provided on the manufacturer’s website. A lot of popular wrap and sling carriers have a learning curve, requiring parents to practice until they fully understand the device. The Seven sling is very easy to use – when you open it, it basically looks large pillowcase that is open at both ends. It folds inside itself once and goes over your shoulder like a sash, with the open seam side facing your breastbone. Baby simply tucks into the pouch this creates, and can be carried three different ways. Baby gear can be pricey, and when a cheap option is available, it can be tempting. Seven baby slings are definitely competitively priced, but we can’t help but note there are reasons for the price difference. The fabric is thin and not especially soft, which makes it vulnerable to wear and tear and not as comfortable for baby as some other, better made alternatives. To put it simply, you can get a good deal on this sling, but you’ll be sacrificing on quality. One size fits all carriers don’t always live up to their name, so seeing a carrier that provides size options is very enticing. The issue here, though, is that these size options don’t always seem to match up with the dimensions the manufacturer suggests for ordering. The carriers seem to be much smaller than what the sizing chart suggests. This is uncomfortable for parents, and can be unsafe for baby, who doesn’t have enough room to be carried comfortably. When it comes to carriers, the first thing I look for is a Hip Healthy certification from the International Hip Dysplasia Institute – it’s missing here, meaning this carrier isn’t an ideal choice to support your baby’s ongoing skeletal development. The limited amount of space afforded by this carrier can cause problems following the TICKS checklist, especially in younger babies, which is absolutely essential when using carriers of this type. The Seven sling has a lot of strong competitors. Many parents prefer wrap carriers that offer more versatility and lumbar support, but sling carriers are still very popular. The Boba Wrap (check price on Amazon) is loved by parents for its sturdy 95% French terry cotton construction, comfort, and flexibility. It can be used to carry your baby in newborn and front inward facing positions. Unlike the Seven, it is a Hip Healthy carrier, so you can feel confident that your baby gear is healthy for your little one. The Moby Ring Sling (check price on Amazon) is another popular offering from a brand known and trusted by moms. It is made out of soft, breathable cotton and offers enough length for baby to have a roomy carrying experience. 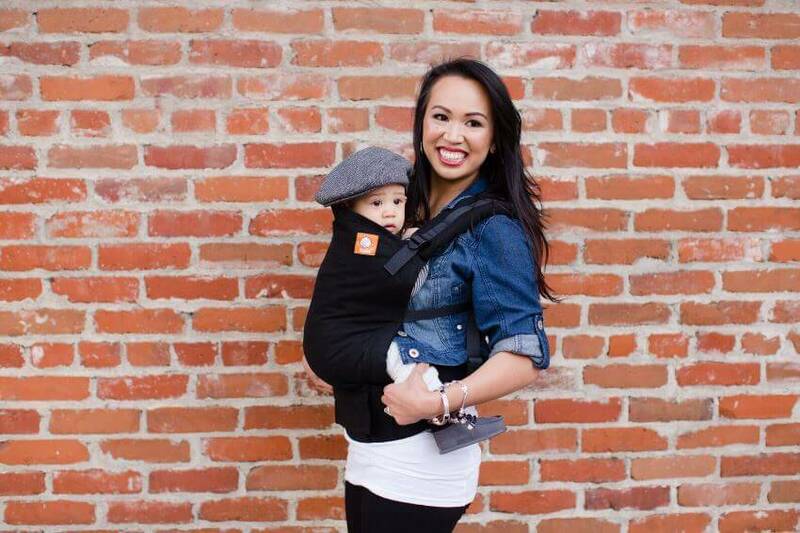 Ring slings are great because they allow you to adjust the tension of the carrier to accommodate your carrying position, your stature and the weight of your child – carriers like the Seven can become uncomfortable on the wearer’s neck and shoulders quickly. Who Should Buy the Seven Baby Sling? Okay, so it’s pretty clear that we can see a few issues with this sling – let’s not sugarcoat it. It’s not very well made, the fabric isn’t comfortable for mom or baby, the sizing chart is misleading, there’s not a safe amount of room for baby and the carrier isn’t Hip Healthy. Overall, even though this carrier is inexpensive and can look stylish, we don’t feel like it’s a good pick for a child’s health and safety, which means we can’t recommend it to anyone. Size range: Is there a sizing and measurement chart? Make sure you take your measurements and order or purchase the size that is right for you and your child. Benefits: The correct sling, properly worn has many benefits for you and your baby. In fact, here is a list of 23 science-backed benefits. Features: Baby slings and wraps come in many styles, and there are a lot of features you might not know are available, like moisture wicking and UV protection. Look into the details to make sure you’re finding one that checks all your boxes. Weight range: Keeping your baby or toddler safe in the sling or wrap means knowing the weight range. Some are higher than others. Likewise, it’s important to know that very small and especially premature babies should not be carried in a sling or wrap until they reach 8 lbs, and even then, it should be done with extreme caution. Because the baby is so small, it is hard to ensure the TICKS method is being used, which can tragically lead to suffocation.